CONGRATULATIONS to ALL Scholar Athletes that have qualified for the YBA Academic Scholar Program - AT ALL LEVELS!! The program was implemented to recognize those individuals that place the "Scholar" before the "Athlete". GREAT JOB!!! 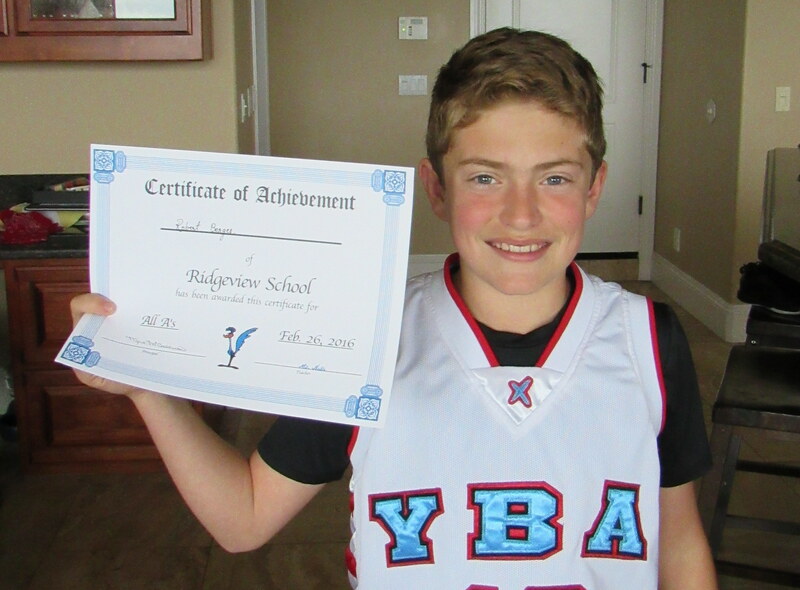 RJ Borges is a 6th grader from Ridgeview Elementary who is enjoying his first year with YBA on Coach Blade's team. RJ takes school seriously and has been on the honor roll throughout 5th and 6th grades. In addition, he plays competitive soccer, participates in swim team, is a member of Boys Team Charity, and plays piano. To relax, he enjoys hanging out with his pals playing video games, and swimming and skim boarding at Folsom Lake.